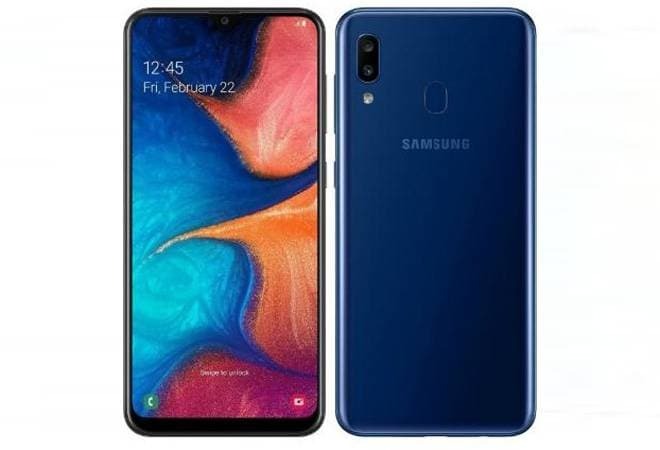 The Samsung Galaxy A20 is slotted between the Galaxy A10 and A30 and comes with a 6.4-inch HD+ (720x1560 pixels) Super AMOLED infinity V-display. As far as specifications are concerned, the phone is powered by the octa-core Exynos 7884 SoC, which has two high power cores clocked at 1.6GHz and six efficiency cores with a clock speed of 1.35GHz. The phone comes with 3GB of RAM and 32GB of storage option, which can be further expanded via a microSD card (up to 512GB). The Samsung Galaxy A20 runs on Android 9 Pie with the company's One UI on top. The Samsung Galaxy A20 has a huge 4,000 mAh battery that would easily last you a complete day. There is also a rear-mounted fingerprint sensor and support for Samsung Pay. The smartphone also features a "3D Glasstic" build and measures at 158.4x74.7x7.8 mm.